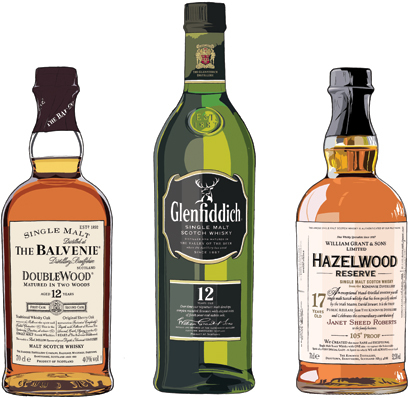 Monkey Shoulder is a vatting of three single malts distilled by William Grant & Sons: Balvenie, Glenfiddich and Kininvie. 'Triple malt' because it blends three malts without using any grain, placing it somewhere between blended and single malt whisky. William Grant & Sons comissioned this artwork to illustrate Monkey Shoulder's triple parentage. Art direction by Ambition.